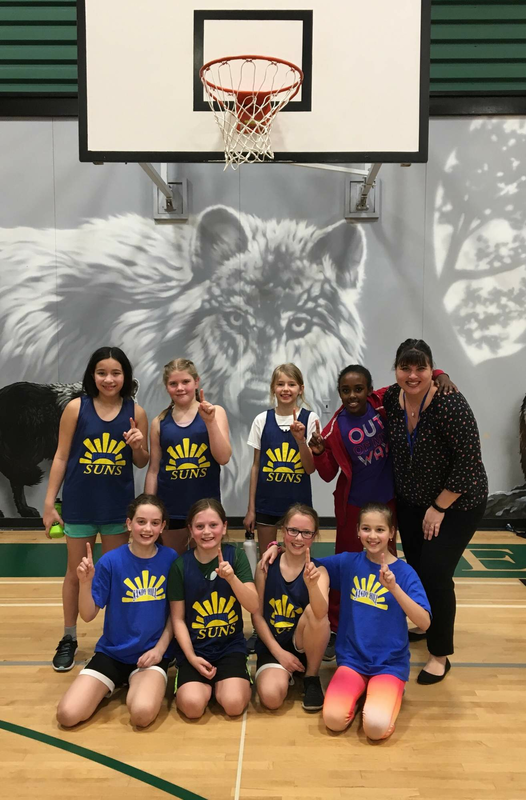 The grade 5 basketball teams wrapped up their three month season with "jamborees" held at Bateman Secondary School. Senior basketball players from Bateman reffed the younger players while participating teams got a feel for a real tournament. Sandy Hill entered two boys teams and both teams competed exceptionally well with a steep learning curve noted by our coaches even over the three back to back games. The next day Sandy Hill entered two girls teams who were also incredibly competitive in their perspective pools. One game was won on the buzzer by a basket! Hopefully the athletes who participated have developed more of a love for the game and have gained the confidence needed to try out for teams in middle school. A big thank you to the coaches who spent many lunch hours and after school sessions in the gym with me...Mrs.Fetterly, Mrs. Harrison, and Madame Agnew.